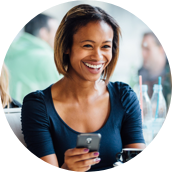 Select a language you want to learn, and try the first lesson now for free. Once you discover how much you can learn in 30 minutes, you will want to keep going. The heart of the Pimsleur Method is the audio lesson. You listen. You participate. You learn … exactly like a young child who picks up a language effortlessly. It's just 30 minutes a day—anywhere, anytime. Learn Spanish while you're driving to work. Study French while waiting for a plane. Practice Russian while walking the dog. 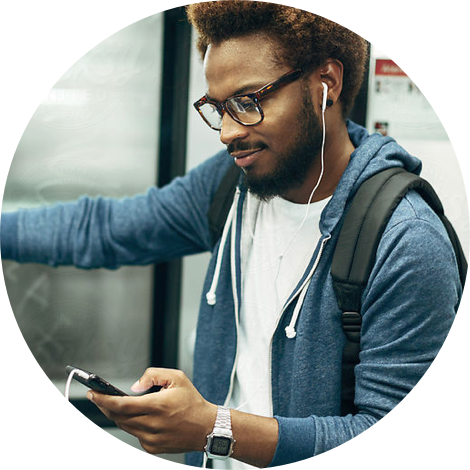 You can use these lessons on your computer or on any device that plays MP3 audio, including iPhone, iPod, and Android devices. 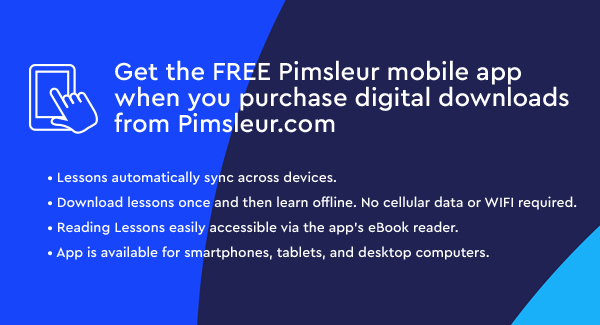 And all digital purchases come with a free Pimsleur app so you can easily play your lessons and track your progress across devices. The grammar and sentence structure seep into your long-term memory." "Pimsleur ... boil[s] down the essential elements of a foreign language so that beginners can acquire basic skills immediately ..."
Spanish while cooking-all with NO WRITTEN MATERIALS!" language using the Pimsleur system, when all their previous efforts failed."